I LOVE Halloween! I've not been great about it this year. I've made lots of cards, but I don't have a costume or anything. It's still fun, though! Our apartment complex actually put treat bags on each of our doors in the middle of the night! SO FUN!!! Well, today is also Wednesday, so that means that it's time for a new challenge at the Simon Says Stamp Challenge Blog! Our challenge for this week is SHAPE IT UP! Yup! We have some super fun shaped cards to share with you today! I, of course, had to do one for Halloween! I pulled out some fun stuff for this one! I made the ghost itself from Neenah cardstock. The eyes are adorable brads from Eyelet Outlet. I used some fun stamps from Lawn Fawn, too! 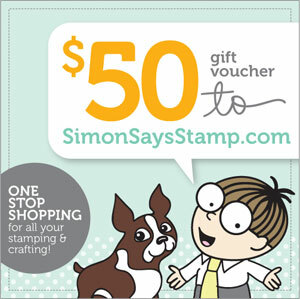 And of course, Simon Says Stamp is offering one lucky challenge participant a $50 voucher to the Simon Says Stamp Superstore! So, let's do this!!! 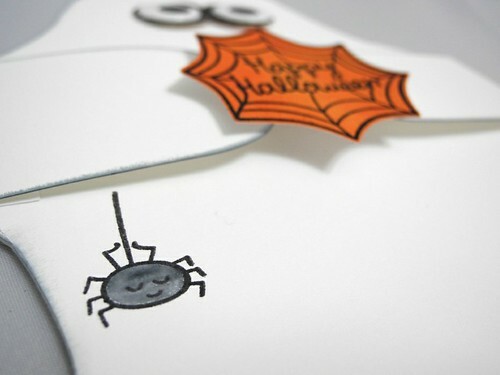 Create a fun shaped card and link it up! You could win, for goodness sake! I hope you have a super fabulous Halloween!!!! You can find the links for the items I've used in this card below! Happy Shopping and Happy Halloween! OMG! This is so adorable. The shape reminded me of a bathing suit my daughter owns. Adorable card! The big eyes are so fun and cute! This is just so cute...I will have to remember this for next year!!! Happy Halloween to you too...this is totally too cute.. 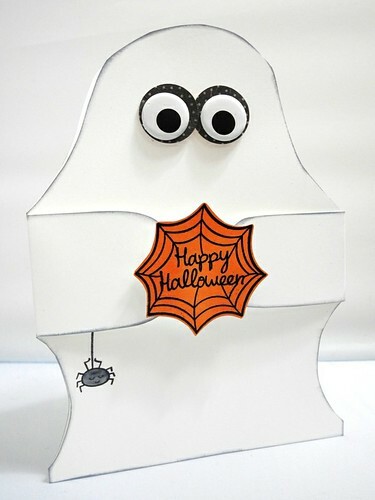 Wonderful card- love the design- and those big eyes!!! Happy Halloween! Fabulous card Jennifer, super cute design. I love your univers full of joy and laugh !! HOW CUTE! Love the shaped card and those eyes are awesome! HAPPY HALLOWEEN! OMGOSH J...your ghostie is SPOOKTACULAR!!! How FUN! Great shaped card, Jennifer! Cool card, Jennifer! I love the shape and how perfect is it for the holiday today?! Loving the big eyes!! Such a fun wonderful creation!! I love your design and brilliant details -especially those stunning eyes!! That's adorable! I will have to put on my thinking cap and see what I can create for this challenge.